While Hebrew was the language of the Bible, it has been the main spoken language by Jews only for relatively short periods. Judaism was strongly influenced by Aramaic and local dialects based on local languages have served Jews for many centuries. Jewish Aramaic was the vernacular of Jews in the Land of Israel in the first century. It is still spoken by Jewish Kurds today. 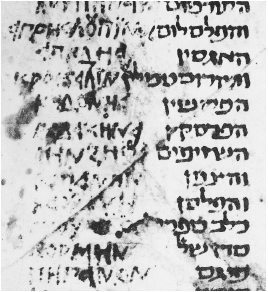 In addition, important Jewish texts and the Mourners Kaddish are also written in Aramaic. Yevanic, also known as Judæo-Greek or Romaniyot, is a Greek dialect formerly used by the Romaniotes and by the Karaite Jews of Constantinople. It was mutually intelligible with the Greek dialects of the Christian population. The Judeo-Arabic languages are a continuum of varieties of Arabic spoken by Jews living or formerly living in the Arab world. 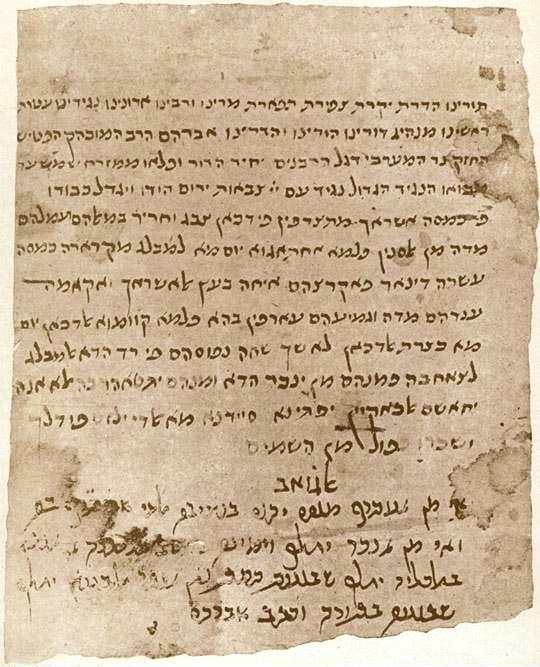 Many significant Jewish works, including a number of religious writings by Maimonides and Judah Halevi, were originally written in Judeo-Arabic as this was the primary colloquial language of their authors. Judaeo-Spanish commonly referred to as Ladino, is a Romance language derived from Old Spanish. 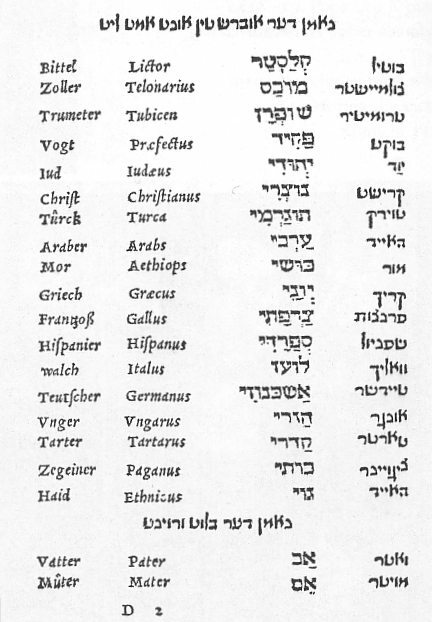 Originally spoken in the former territories of the Ottoman Empire (the Balkans, Turkey, the Middle East, and North Africa) as well as in France, Italy, Netherlands, Morocco, and the UK, today it is spoken mainly by Sephardic minorities in more than 30 countries, most of the speakers residing in Israel. Although it has no official status in any country, it has been acknowledged as a minority language in Bosnia and Herzegovina, Israel, France and Turkey. Yiddish is the historical language of the Ashkenazi Jews. It originated during the 9th century in Central Europe, providing the nascent Ashkenazi community with an extensive Germanic based vernacular fused with elements taken from Hebrew and Aramaic, as well as from Slavic languages and traces of Romance languages.